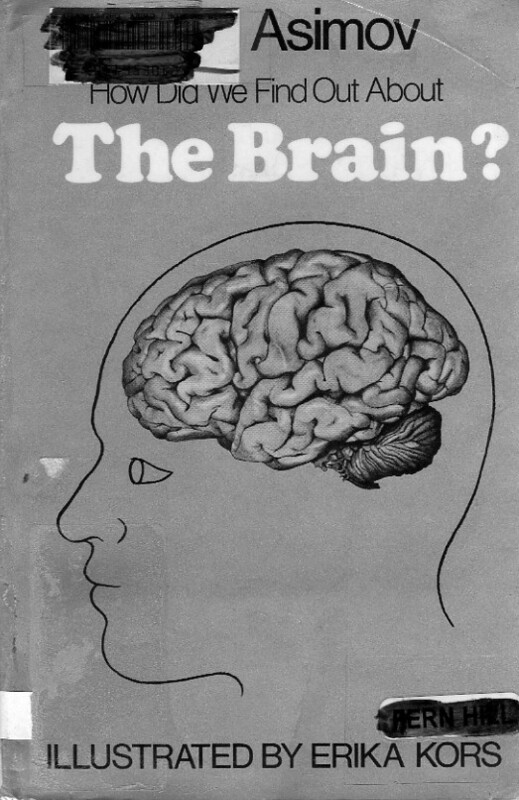 How Did We Find Out About the Brain? There is a small organ under man’s skull. Inside it is a soft gray mass. It is wrinkled and looks somewhat like a very large walnut. What is its function? It took almost two thousand years to find out. Some scholars in ancient times thought that the brain was the seat of emotion and feeling, but not all shared this view. Greek doctors studied the parts of the body and learned many things about the nervous system, but science declined and it was not until a thousand years after the Greek philosophers that scientists once again could dissect bodies of animals and humans. Slowly but surely crucial discoveries were made about this mysterious organ–the brain. It is through this organ that people think and carry on the work of the world. Isaac Asimov tells the story in his usual clear style. This entry in the “How Did We Find Out” series is, as usual, serviceable but not spectacular. Excellent for children, adults would be far better advised to read The Human Brain.